Rob Dietz brings a fresh perspective to the discussion of economics and environmental sustainability. His diverse background in economics, environmental science and engineering, and conservation biology (plus his work in the public, private, and nonprofit sectors) has given him an unusual ability to connect the dots when it comes to the topic of sustainability. Rob is the author, with Dan O’Neill, of Enough Is Enough: Building a Sustainable Economy in a World of Finite Resources. 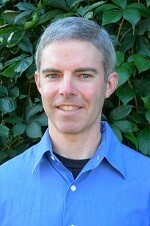 As past editor of the Daly News, Rob is a devoted advocate for revamping the economy to fit within biophysical limits. He writes with humor, clarity, and a personal touch as he considers the complex set of institutions and activities that make up the economy. Rob is attempting to align his personal life with the principles of a steady state economy. He lives with his wife and daughter in a cohousing community striving for development rather than growth.